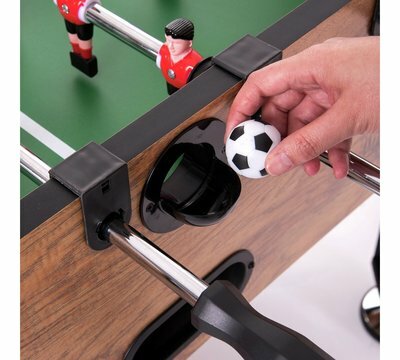 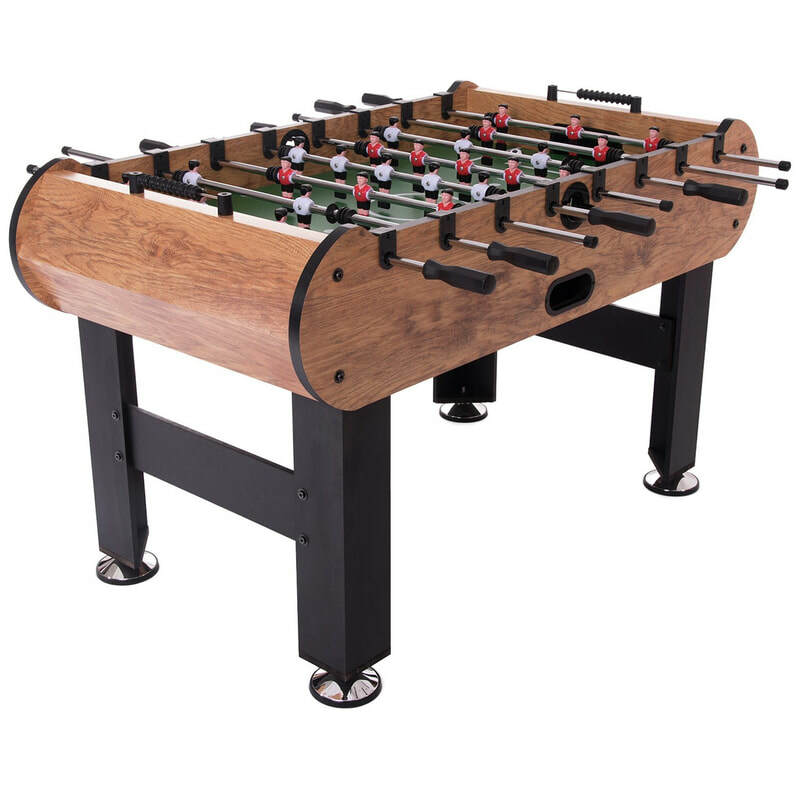 The Hy-Pro Striker Football table is perfect for either fun family friendlies or tough tournament games. 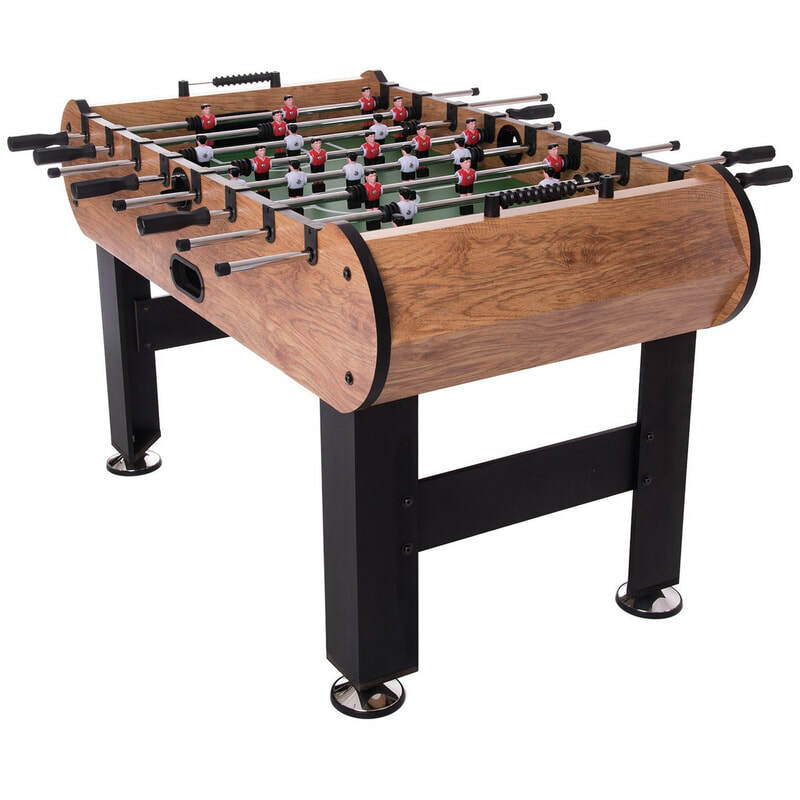 A strong, chunky playfield, oversized leg levelers, performance grips and easy assembly system makes the table durable, long lasting and a breeze to build. Simply slot and lock the play rods into position using the Hy-Pro easy assembly system. 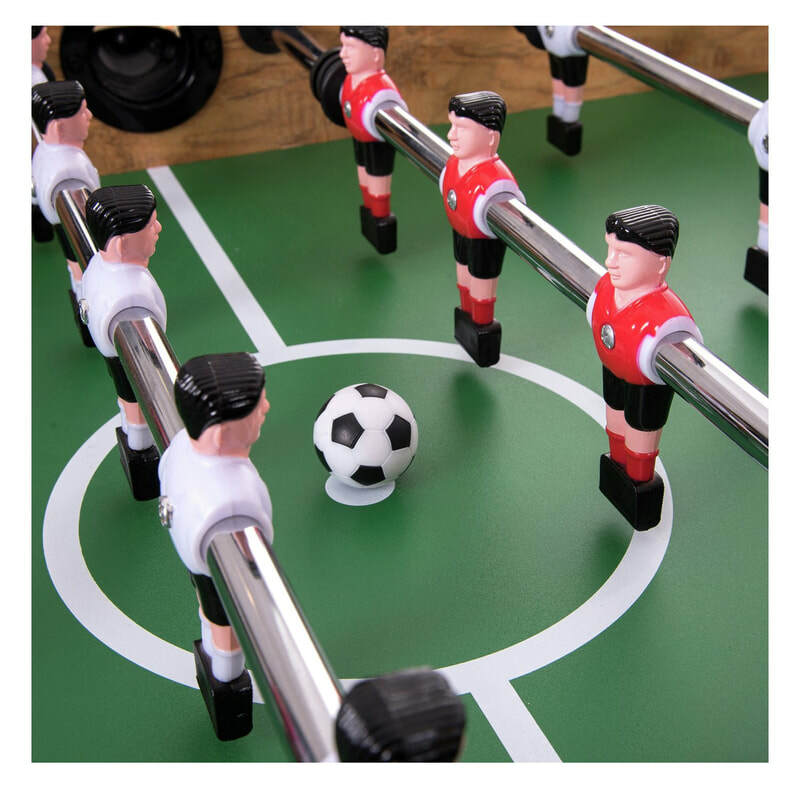 Players come preassembed so you can play right away. 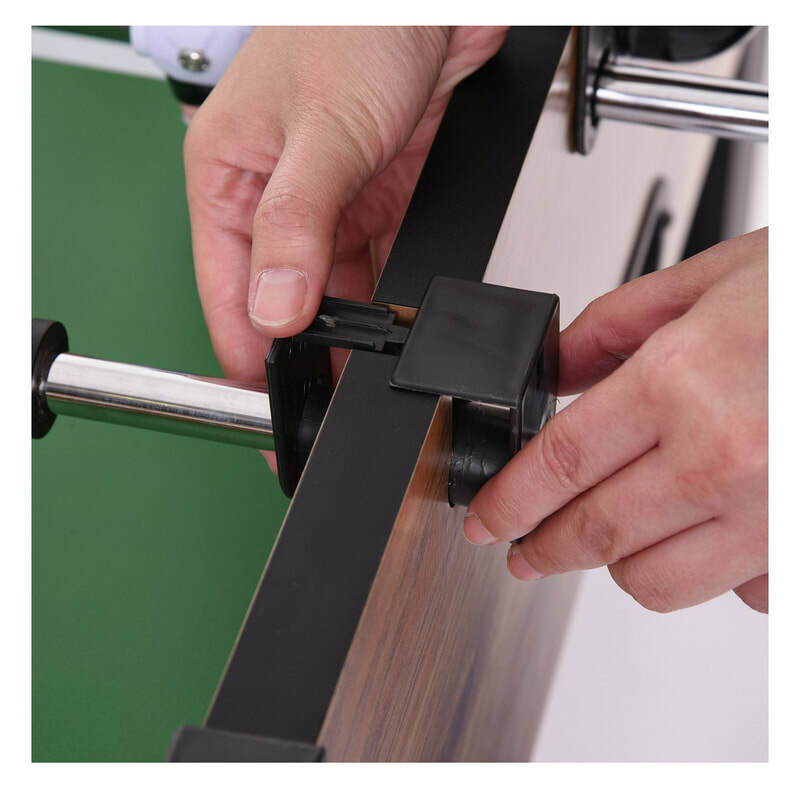 Quality, oversized leg levelers means the surface stays flat even when the floor is not. The additional rubber trim means the table is easy on surfaces even when gameplay gets intense!